Thai Massage for the Table creates a partnership between you, your client, and the movements of this flowing modality. This course offers a unique fusion of Eastern techniques presented in a format that is friendly to the Western practitioner. Thousands of years of Asian tradition meet modern ergonomics and body mechanics to give you techniques that are creative, versatile, and powerful. 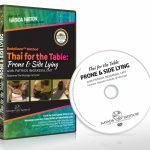 With Thai Massage for the Table, you’ll learn a modality that’s safe, effective, fun to perform, and in demand! Expand your practice with this oil-free, fully clothed modality. 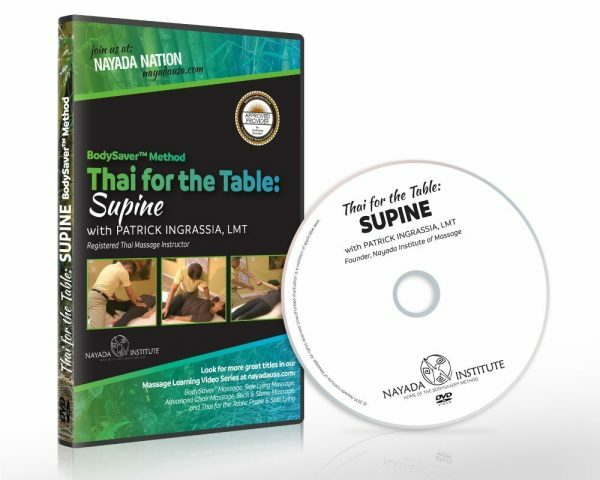 Thai Massage for the Table: Supine provides you with complete demonstrations of the movements and techniques that will allow you to apply traditional Thai massage to your table work. You’ll learn over 120 movements for the supine position. It’s the next best thing to being at one of our live courses! Safe, effective, and in demand modality! Combine with Thai Massage for the Table: Prone & Side-Lying for the ultimate in Thai table work! Expand your client base with this oil-free modality!